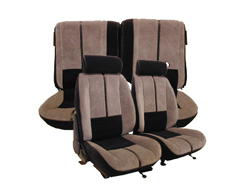 We are your one stop source for convertible tops and auto and truck upholstery. Our goal is to make your convertible top purchase as easy as possible. There is no mystery about what is required and we can show you that it is as easy as 1 - 2 - 3!!! Not all convertible tops are created equal. We offer the best quality convertible top manufactured in the <?xml:namespace prefix = "st1" />U.S. today. Every convertible top that we sell is made using patterns from the original convertible top – whether it is a classic vehicle, muscle car or a contemporary car. 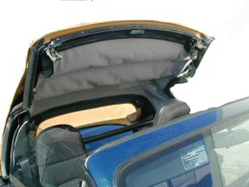 In some instances improvements have been made to make the convertible top function better. We offer original fabrics. We will send samples of fabrics just to make the color and selection decision easier. 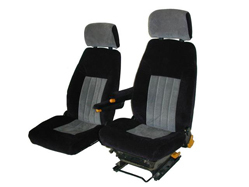 Our car and truck upholstery selections will surprise you because we have a large selection of Ford and Chevy truck interior upholstery that is hard to find. We offer many choices of colors and fabrics – so you don’t just have to settle for a few color choices. We will work with you and supply samples to ensure that you know exactly what you are getting. These upholstery kits come with instructions and everything you need to replace your worn or torn upholstery. You will be surprised at how new and fresh your vehicle will look with a little attention to the upholstery! We offer our outstanding customer service and a product that will ensure that you will enjoy your new convertible top or upholstery for many years to come. we've taken the mystery out of what to do!!! Large selection of premium convertible tops. Original convertible top patterns for each vehicle. Large vinyl and velour fabric selections for a new, fresh look to your interior - whether it's your car or truck! We have the headliners for hundreds of vehicles. 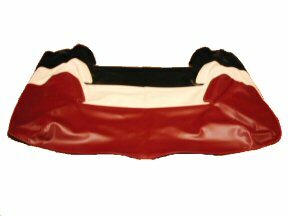 Boots, well liners, cables and pads are also available for many vehicles. Alfa Romeo - Austin Healey - BMW - Buick - Cadillac - Chevrolet – Camaro – Corvette – Chrysler – Dodge – Fiat – Ford - Hillman Minx – Honda – Hudson – Imperial – Infiniti – Isuzu – Jaguar - Jensen Healy – Kia – Lancia - Lincoln – Mazda – Mercury – Miata - Mercedes Benz - Mitsubishi Eclipse Spyder – MG - Morris Minor – Nash – Nissan – Oldsmobile – Packard – Plymouth – Pontiac – Porsche – Rambler – Renault – RileySaab –Singer – Studebaker – Suzuki – Triumph - Volkswagen Beetle – VW Karmann Ghia – VW Cabriolet – VW Thing – Westfalia - Willys Jeepster .